Mike Nazzaro was introduced to the game of lacrosse at the age of 11. Now the head coach of Stamford High School he is dedicated to growing the game in the youth and inner city communities. Beginning with his high school Career at Trumbull High School, he captained the 2005 Varsity team to a State Championship. Mike was the first freshman to earn a starting spot on the varsity roster. 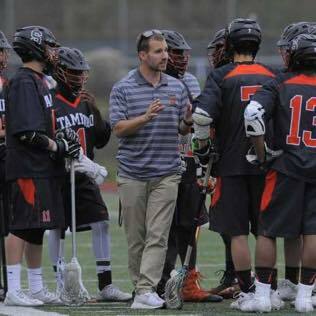 Coach Nazzaro sits in the top 5 for overall career points at Trumbull High School and was a two time All-State midfielder. In 2005, Coach Nazzaro committed to Western Connecticut, an NCAA Division III program. Coach Nazz has directed camps in the tri-state area for major companies such as: Brine, Warrior, and Game-breaker. He also coached elite travel programs such as Paragon lacrosse and Team Connecticut Elite. He continues to grow as a professional and a coach by making CT City the most valuable, proficient clinic series in the Fairfield county area.